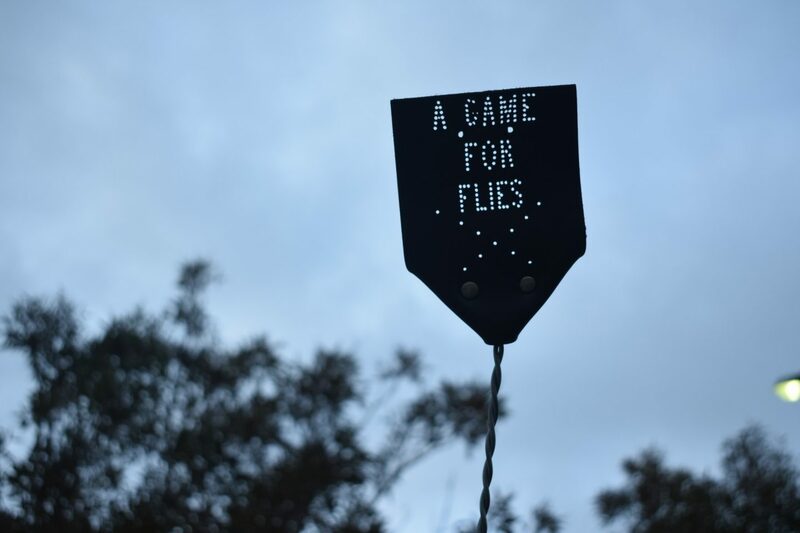 A Game For Flies is a new Australian work by emerging playwright and theatre maker, Brianna McCarthy. It explores through the body and senses the way that we relate to nature and all that is more than human. Locked inside a cave, with only a small window to look through, Player 1 and Player 2 spend their days combatting the incessant infiltration of flies from the outside world. For years beyond count they have lived in darkness, slowly forgetting the names of creatures and places that exist beyond the window. When Player 2’s curiosity gets the better of them, they open up the window and in secret meet at night with The Spirits of the Great River. Communicating through movement and music; a mysterious new language and way of seeing, the ensemble of spirits teach Player 2 a series of myths about the earthly place outside, and the importance of maintaining the ancient relationship with nature that has for so long been abandoned by Player 1 and Player 2. In daylight, Player 1 learns from Player 2 the laws of comprehension and scientific endeavour but when night falls, they indulge the energy that draws their beating heart to reach outside the window. The purpose of this is to articulate through breath and body, and bring into discussion ideas of deep ecology in environmental philosophy. It aims also to give agency to non-humans, as there is a significant lack of attention paid to them in theatre. The key belief is that if we can make art that listens and gives power to the environment then we can begin to deconstruct ideas of mastery over nature that are so deeply rooted in Western culture. This show asks us to breathe in the world we live in and begin to see again the many lives that are playing out around us, the interaction of all earthly things, and the magic that we mustn’t let die. 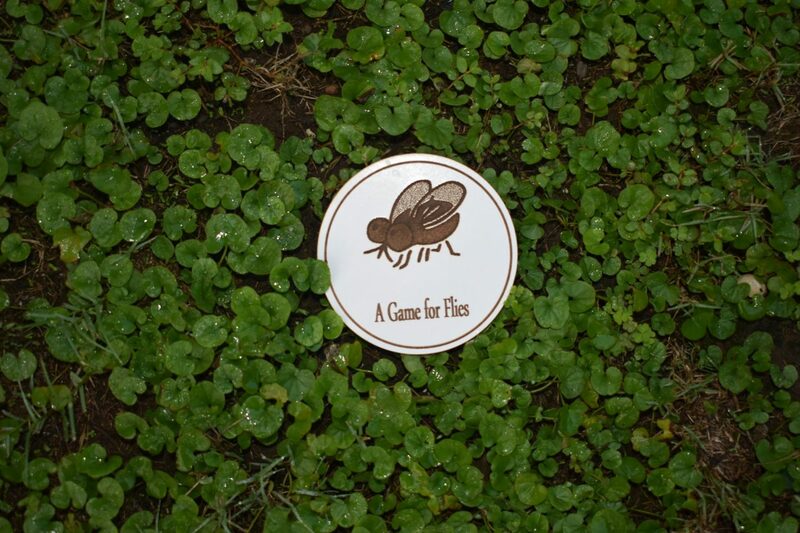 A Game For Flies exists in text right now but is envisioned to be a cross-disciplinary work that combines story, poetry, physical theatre, movement and music. Much of the work is to be devised with an ensemble of performers who may create a visceral experience and bring to life that which words cannot express. Donations will be used to pay for venue hire, set and costume and to pay cast and crew. All activities are to be based in Western Sydney and will collaborate with diverse artists from the area. I’m an emerging artist from Western Sydney. My current practice is in devising theatre with ensembles but I have also been mentored on playwriting since I was an early teenager. In my art, I use my skills in devising and playwriting to create work that is active in literature but also viscerally immersive and I aim always to bridge the gap between intellectualised ideas and sensuous experience and emotion. I believe that theatre and performance is the best way that we can realise ideas that live on paper in philosophy and political theory. 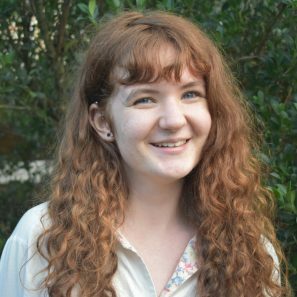 My area of focus is on environmentalism, particularly environmental philosophy, deep ecology and phenomenology, and I aim always to challenge the discourses present in Australia and its politics regarding climate change and mastery over nature.